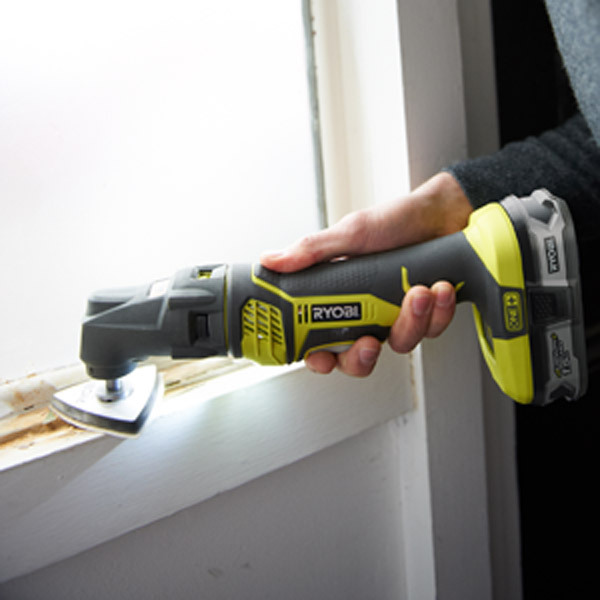 A versatile multi purpose tool with both sanding and cutting heads. Quick change attachments for hassle free transition between sanding and sawing. LED for illuminated work piece. Variable speed for ultimate control across a range of applications.Universal accessory adaptor makes the product compatible with any brand of accessories. 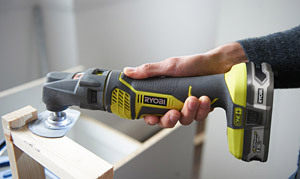 Multi-purpose tools cater for a wide range of DIY jobs. 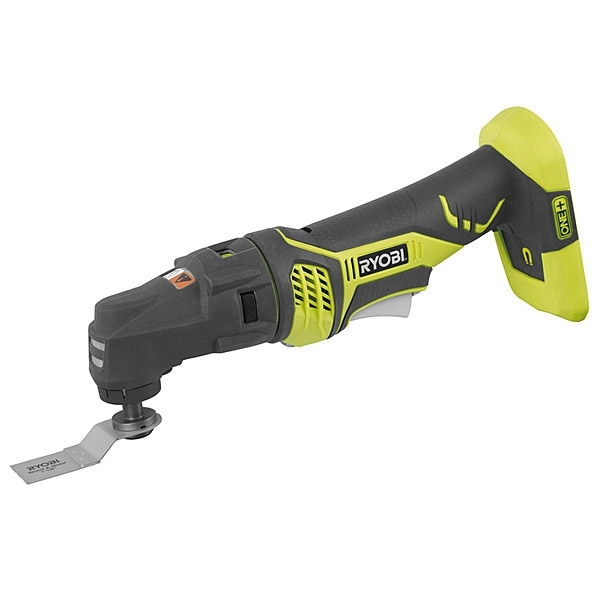 You can sand, scrape, saw and plunge cut with this highly adaptable tool. In fact once you have used one you will wonder how you ever managed without one. The RMT180 is supplied with a range of sanding and cutting heads plus a universal accessory adaptor to support other makes of accessory. 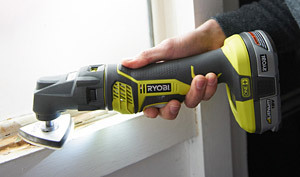 The quick change attachments allow easy transitions between sanding and cutting heads. For example the included wood blade can used to cut and shape wood before switching to one of the sanding heads to smooth off the finished product. The variable speed control allows plenty of control whatever application is in use. For example, higher speeds for sanding and slower speeds for cutting and scraping. 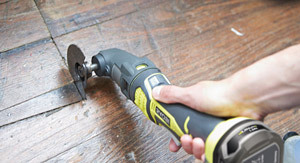 The multi-tool is ideal for awkward jobs such as plunge cutting through tongue and groove flooring. 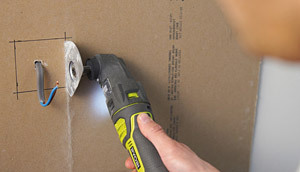 Making cut-outs for switches and mounts in boarded wall panels is also doddle with this versatile tool. Flush cutting pipework, studs and bolts is a simple task with a multi-tool.